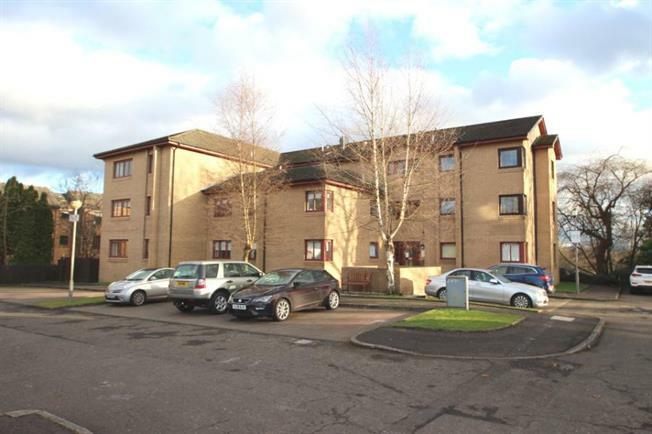 2 Bedroom Upper Floor Flat For Sale in Glasgow for Offers Over £120,000. Seldom available within this luxury development by Whatco homes, which is set within the heart of this highly regarded district of Mount Vernon offering ideal accommodation for todays young couples and retired buyers alike. This well appointed preferred first floor flat comprises entrance hallway with fitted wardrobes and walk in store, spacious lounge with aspects to landscape communal rear gardens, fully refitted breakfasting kitchen, two bedrooms (bedroom one with dressing area and in built mirrored wardrobes) and luxury refitted bathroom with shower mixer and screen. The property benefits from electric heating, double glazing, audio controlled entry system and an abundance of both residents and visitors parking facilties and landscaped communal gardens to front and rear of the property. The property is further enhanced by the close proximity to a wide range of amenities which include local shops, schools, public transport facilities and easy access to Glasgow and beyond via both motorway and rail networks. Immediate internal viewing is sure to impress.